Whatever the fabric in your vehicle needs, we can help. 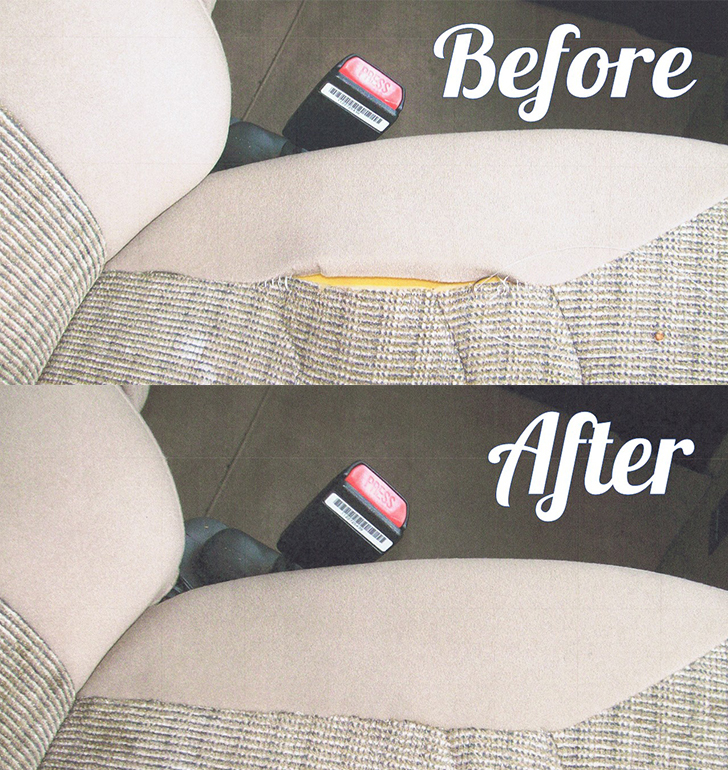 We can repair or re-panel your car’s fabric seat(s). You tell us whether you want custom fabric or factory original. From one burnhole fix to replacing an entire panel or seatcover, we’ve got you covered. Small rip or tear? We can fix that too. Don’t like the looks of your faded interior? Let us dye the seats, carpet or whole thing. We can also give you a quote on an entire custom interior -- your choice of colors and fabrics.